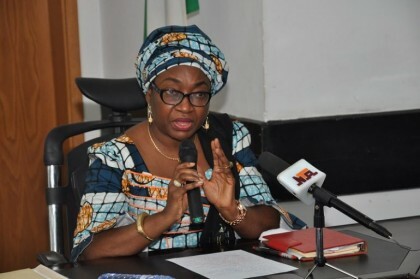 The Federal Government has commenced online update of federal public servants in Ministries Departments and Agencies (MDAs) that are currently enrolled on the Integrated Personnel and Payroll Information System (IPPIS). Mr Mohammed Manga, Assistant Director, Media Relations Office of the Head of Civil Service of the Federation said this in a statement on Monday in Abuja. He said the update was hinged on the successful pilot implementation of the human resource module of the IPPIS in the Office of the Head of the Civil Service of the Federation. “The move to update workers record on the online IPPIS platform was hinged on the successful pilot implementation of the human resource module in OHCSF. He disclosed that the web address of the online portal was www.verification.gov.ng adding that it would be opened for access from Monday April 10, to Tuesday May 2, 2017. He noted that only MDAs that have forwarded their structures such as departments, divisions, sections and units would have access to the portal. Manga urged MDAs that have not forwarded their structures to OHCSF to do so urgently to enable their set up on the portal. Older PostU.S. Embassy Nigeria: Are You Interested in the Fulbright Program? Check Out These Opportunities?